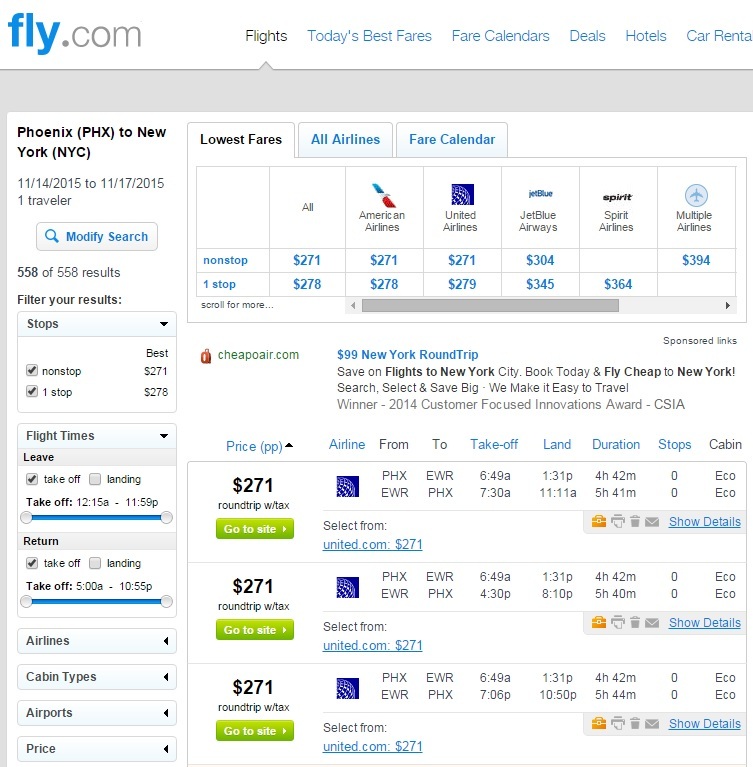 Save $50 on flights between Phoenix and New York City into December. 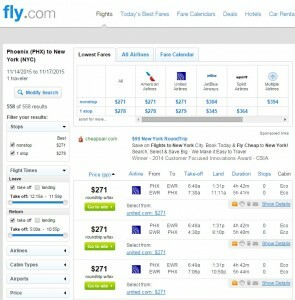 These nonstop fares are available on United and American for $271 roundtrip, including tax. Note: United and American charge $25 for the first checked bag. Check our baggage fee chart for more information.